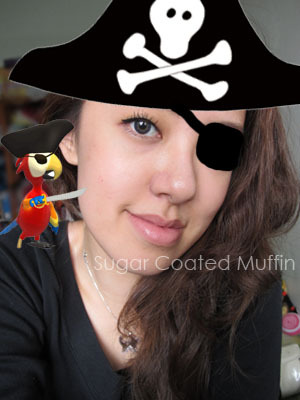 Isabel Lee | Malaysian Beauty & Lifestyle Blogger: I’m a Pirate, Take Me To Stranger Tides! Arr! Captain Jack Sparrow is back with more exciting adventures. Captain Jack Sparrow (Johnny Depp) finds himself on an unexpected journey to the fabled Fountain of Youth when a woman from his past (Penélope Cruz) forces him aboard the “Queen Anne’s Revenge,” the ship of the formidable pirate Blackbeard (Ian McShane). After looking at the trailer, I soooo want to watch it!! 1. You get to drink while working and your boss doesn't care! 2. You eat the freshest sashimi, caught straight out of the ocean. Then you can even cut it with your swords. !@&*%^$!! Then how come I look like this?? 8D YOUR PARROT IS SO CUTE! But it's tragic that movie rules don't oblige pirates. They're losing a key demographic. Even IF i'm a ninja person. Haha I love this post so cute! 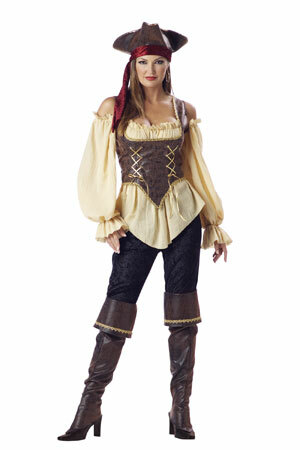 Adore your pirates outfit I think you look very pretty! You have such big eyes I'm so jealous!